The Blocking Bet in No Limits Hold’em was once seen as all the rage, and, when employed under the right circumstances can certainly be beneficial. Here’s when it can be used, the benefits to be gained and some words of caution. When is the blocking bet commonly used? 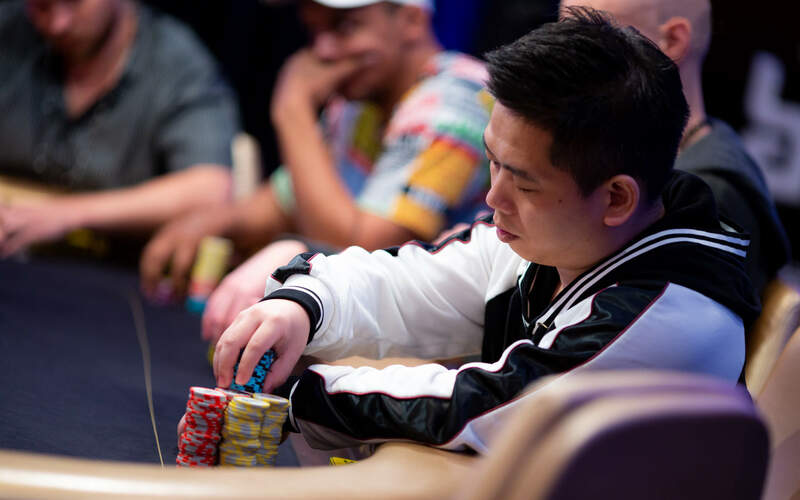 When a player finds themselves first to act on the river with a hand that is classed as being weak or medium, they may still be keen to get to the showdown because they feel there is a reasonable chance that they are holding the best hand. This hand is certainly not strong enough to place a large bet due to uncertainty of what others may be holding, so, you place a blocking bet which is a small stake. As a guideline to bet size; make it no more than half the size of the pot. An opponent calls but has a worse hand – You win. If you are called and lose, you lower stake level should be seen as the price you were willing to pay in order to see a showdown. This should mean you losing fewer chips than if your strategy had been to check-call a bet. While the above scenario points clearly to advantages from using a blocking bet, caution needs to be your byword and such a bet should not be used on a regular, repeat basis. Due to extensive use of the blocking bet, caution is required when playing against those with long poker experience. This type of player is often classed as an aggressive player. When you are playing against this type of player, they will recognise your lower stake on the river blocking bet for what it is; You are indicating the intention to get to a showdown cheaply. To counter your intention, a raise by one of your more experienced opponents is quite likely to win the pot because they are confident that you are not prepared to stake more on a weak/medium strength hand. Conversely, you can use such a situation to your advantage. If you are facing a blocking bet and have a weak to medium hand, then consider a bluff by raising. This tactic should be used wisely. Do not bluff any player who call as a matter of course, it is far better to focus such a bluff on those opponents you feel are likely to fold under such circumstances. Thinking that blocking bets will help you avoid tough decisions down the line in the event your opponent makes a play is a dangerous tactic. The reason for saying this is that to become a strong, effective poker player, making tough decisions is something you must master. Taking such a stance will mean you are making the best possible decision when the occasion demands it. Understanding your opponents gives you a far better chance of taking maximum advantage of good hands, bluffing when you feel confident to do so, particularly when faced with a blocking bet, and being aware of when there is a strong chance an opponent is bluffing even when you have a marginal hand should all be part-of your poker strategy. The final thing to mention regarding the blocking bet is that you should never assume it is the best play out of the various options available to you. The fact is, you often have better choices, but when used correctly it can be highly effective.